The Bon Villa recently underwent a complete historical restoration and is now home to the GLA Property Management office. GLA is a family owned company that has been providing quality housing in the Oak Park community since 1995. Service is the key element and foundation of our business. We pride ourselves on diversity and assisting potential tenants find the apartment that is right for them. Maintaining clean and attractive buildings is a priority at GLA. We have a friendly, competent janitorial staff working at all of our properties. 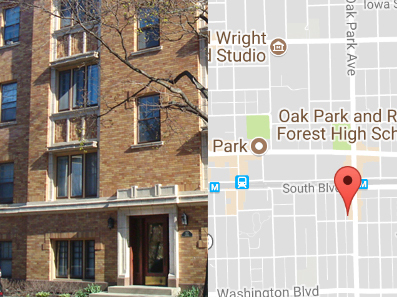 GLA manages properties primarily in the Oak Park, Forest Park and River Forest communities. 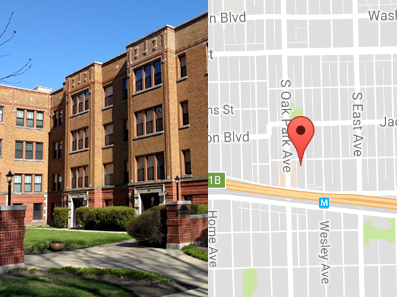 We offer one property in the UIC Neighborhood in Chicago. Located on Oak Park Avenue in beautiful, historic downtown Oak Park, our turn of the century office building has won the prestigious Nicholas Award. Learn more about the Oak Park community at Oak Park Chamber of Commerce. Your company has earned the Better Business Bureau Complaint Free Award for 2018, an honor exclusive to BBB Accredited Businesses. Your company’s commitment to customer service excellence pays dividends in many ways. We are honored to recognize your business for superior performance in the area of ethical business practices and encourage you to continue your commitment to total customer satisfaction.